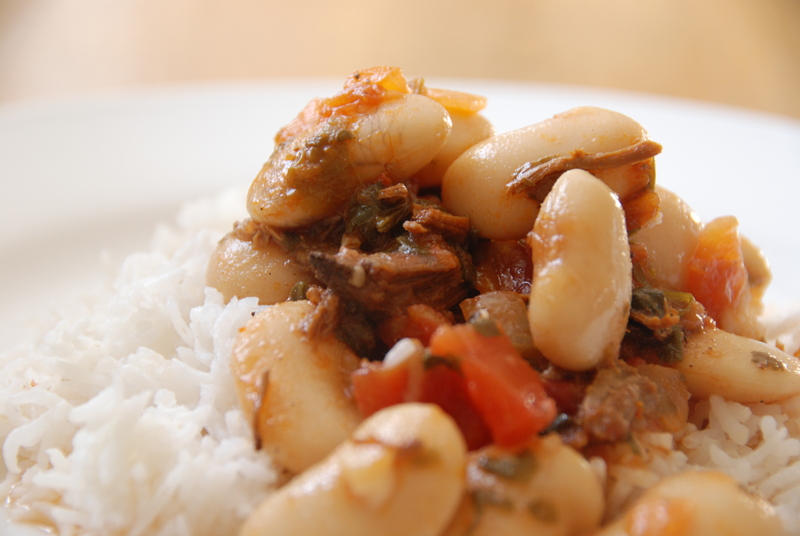 I think I may have learnt the basics of cooking through beans. That’s partly because they play such a big part in home cooking in Lebanon. I remember my father bringing home various varieties of beans. We would remove them from their pods if they were fresh. I would then try to copy what my mother or grandmother made. I would have long conversations on the phone with my mother while she was out working and I was in our small kitchen — a little prisoner in my parents’ apartment. She would explain the steps that were needed to turn the beans and rice into something delicious. 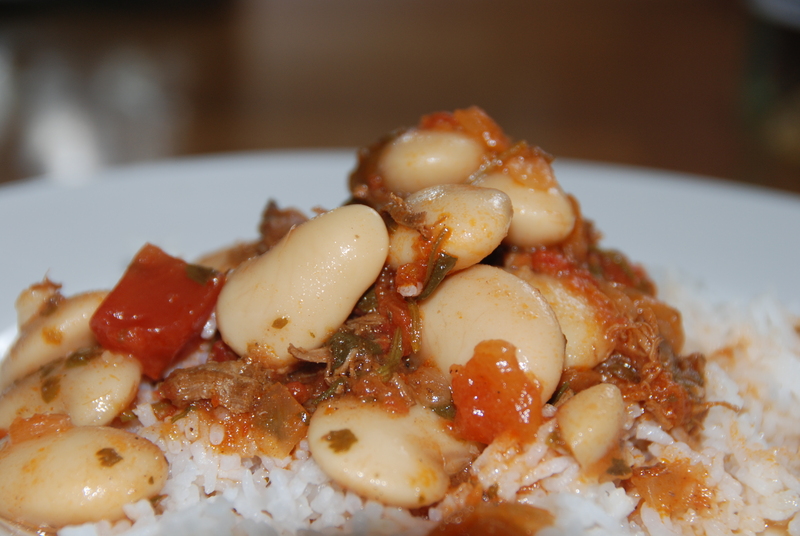 The best known and most expensive type of beans used for this recipe in Lebanon are called Aisha Khanoum. I am not sure why, but it sounds like a hangover from the days when Lebanon was under the Ottomans. 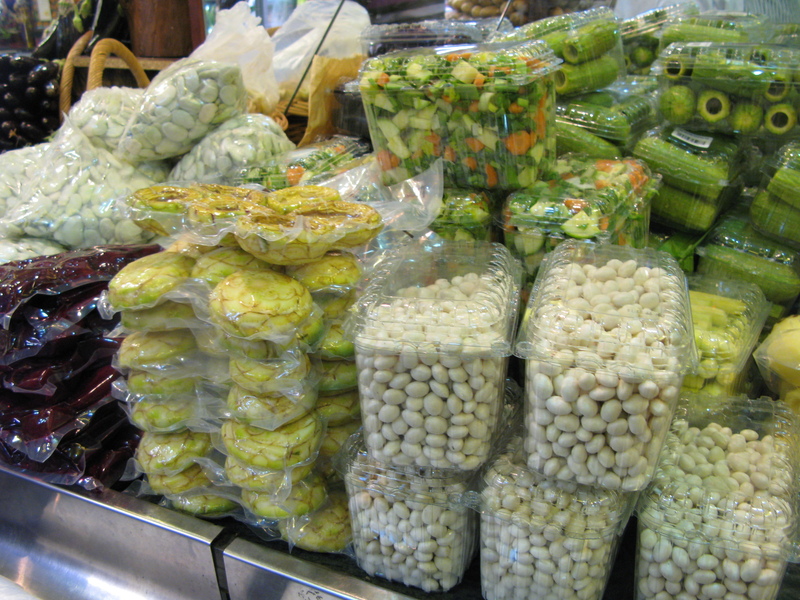 My father was very pleased recently when he could show my husband rows of Aisha Khanoum beans in an upmarket shop in Beirut. But he was shocked by the price — and didn’t buy them. This is a picture instead. It is somewhat ironic to me that in London now, this very simple food — beans and pulses — has become the height of fashion for healthy food. Cover with the lid and leave to simmer for 25 minutes. 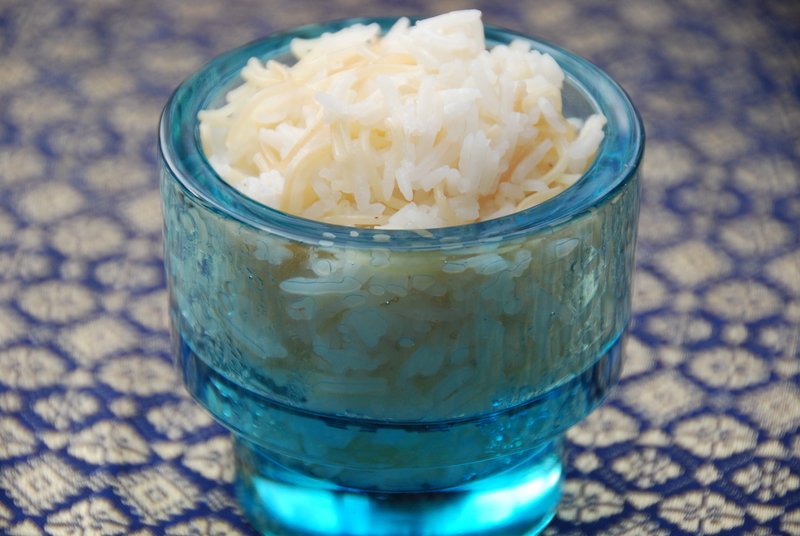 Serve hot on a bed of vermicelli rice.